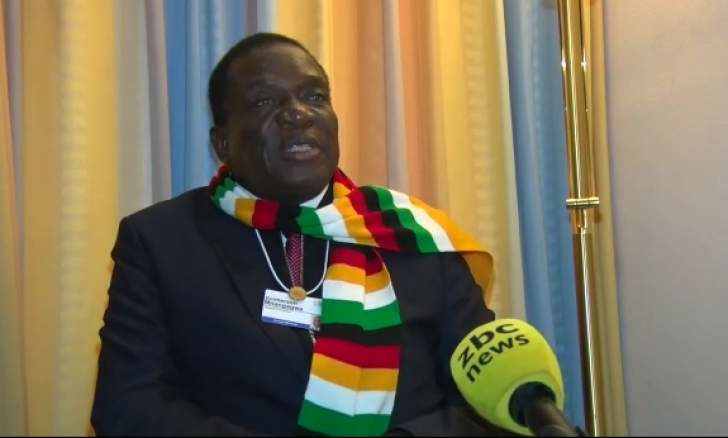 President Emmerson Mnangagwa's anti-graft crusade appears to have been thrown off the rails amid indications top investigators and officials tasked to spearhead the operation are conflicted, Business Times claims to be reliably informed. Some investigations, particularly into key cases involving top businessmen and politicians who are generally seen as untouchable, are dragging unnecessarily and seem to be collapsing due to lack of cooperation from investigators who have been reportedly bribed, a source close to investigations said. It has since emerged that a top spy (name withheld) who was working with a taskforce seized with the anticorruption campaign was earlier this month discharged after his shenanigans with individuals who are under investigations in priority cases were exposed. "Some of his subordinates are being watched although there are indications they could have also dipped their hand into the jar," said a source who requested not to be named. This comes as Finance and Economic Development Minister Mthuli Ncube is planning to tackle the scourge of corruption when he presents his maiden budget statement next Thursday. In his Budget strategy paper Finance Minister Mthuli Ncube indicated corrupt cartels in the country have become so powerful to the extent the police cannot take them head on without risking a brutal retaliation. They have become too rich to a point they can almost buy anyone anytime. A former senior government official recently told this paper that he feared for his life after trying to fight corruption involving some heads of parastatals under his ministry and members of the security sector. "I am a minister but you realise that your life is in danger, imagine if you are just an ordinary person. I had to just let some of these cases go and do whatever I can do to get my job done," said the former government official, adding support from the President and a string task force is needed to weed out corrupt elements from society. And yet corruption is at a huge cost to the country as it eats into investor confidence and increases the cost of doing business in the country making it generally uncompetitive. Global watchdog Transparency International ranked Zimbabwe among the most corrupt countries in the world at position 157 out of 180 according to an August 2018 report. Zimbabwe, said Transparency International, has been perennially on the bad boy list averaging 121,65 on the 2017 Corruption perception Index between 1998 and 2017. A well-placed source at the National Prosecution Authority (NPA) told this publication that there is a high profile case involving a Reserve Bank of Zimbabwe official (name supplied), which has delayed to be instituted following revelations that some investigators have been on a crusade of trying to extort funds from the official. The case at RBZ involves the unprocedural payment of $70 million towards the purchase of Zimbabwe Airways aircraft. The case could also claim the scalps of a Cabinet Minister. The Business Times is informed that a senior figure at the Zimbabwe AntiCorruption Commission (ZACC) went to the extent of stopping junior officers from investigation the RBZ case in question. "The investigating officers themselves have been captured and right now we have a case involving a senior RBZ official but no progress has been made to date following revelations that there are officers going to extort funds from the official (names supplied). It is unfortunate that some people are now even making more money under the guise of fighting corruption. Some prominent investigators are under investigation for their conduct in pending cases on allegations of bribery. Other independent cases are also being made against them. It however remains unclear who instigated the investigations, the two possibilities being either that authorities are disappointed by the performance of the investigators or culprits are countering investigations. "Going forward the situation now is that the hunter is now the hunted," said the source. Law enforcement agents are now understood to be scrambling to get corruption cases because of the potential returns. "The police of late have been irritated by the conduct of some anti-corruption officials who have been overstepping their mandate to an extent of even being involved in matters happening at the Zimbabwe Football Association," the source added. Notable cases of corruption include investigations at the central bank that saw four officials being suspended. A high profile case around the fuel sector is yet to take off amid claims it is being fought behind the curtains.